New Slim Modular Vertical Garden Green Wall System. New for 2017 is the Atlantis Gro-Wall® Slim Line. The Gro-Wall® Slim Line is a new vertical garden green wall system that is built on the success of the Gro-Wall® range of products and provides a thinner profile making the system ideal for applications where space is limited. 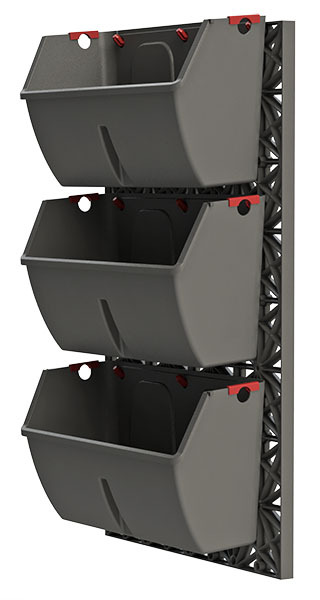 The new features include built in drainage and irrigation locking clips. 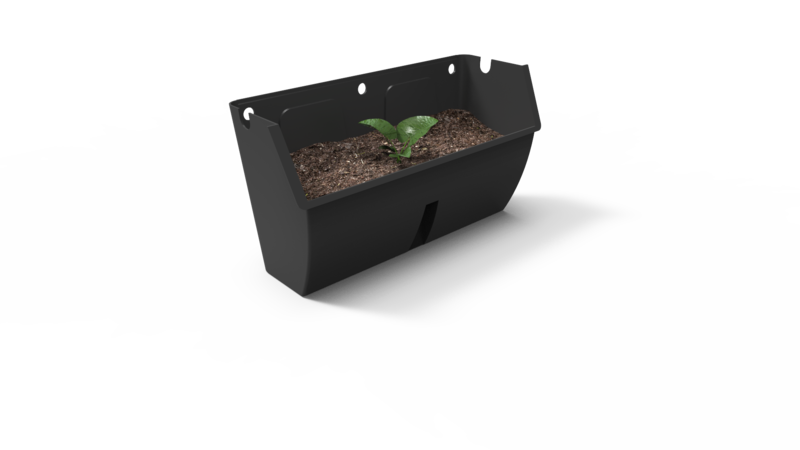 The new planter tray is thinner in depth and allows for 6 litres of soil media ensuring healthy plant growth and moisture retention. Plant to plant irrigation is beautifully balanced providing evenly distributed irrigation to the plant below. 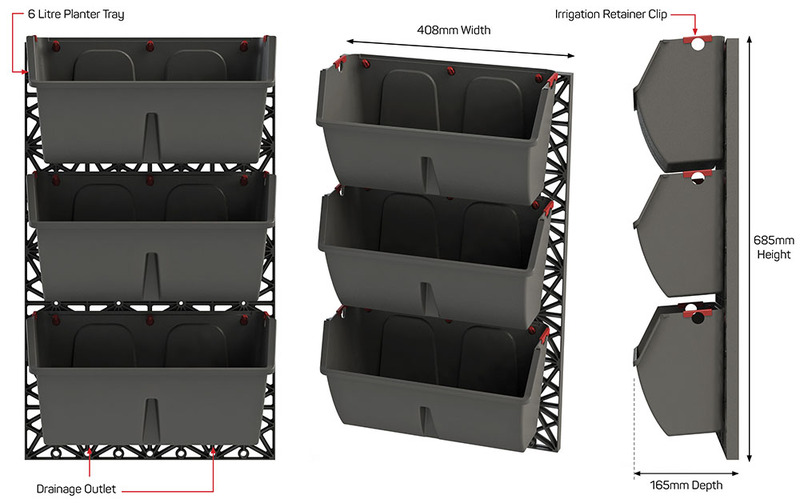 The Planter tray features drainage outlets that can be connected to standard irrigation pipes for connection to a drainage locations on site. This feature is ideal for indoor applications where drainage outlets are not available near the green wall vertical garden installation.